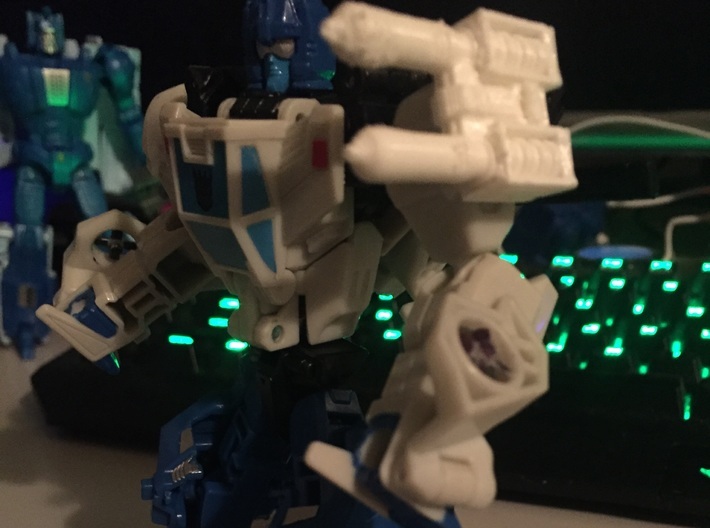 This is an accessory for the Transformers Generations Power of the Primes Legends Class Battletrap figure based on the original 1980s' figure accessory that came with the G1 version of Battletrap. 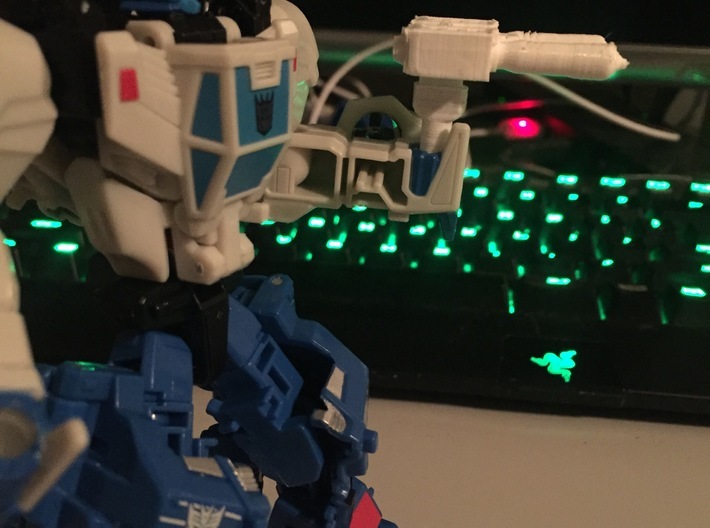 It is meant to clip into the "Shoulder" of the figure, however a 5mm peg adapter is included so it can also be held as a hand-held accessory. 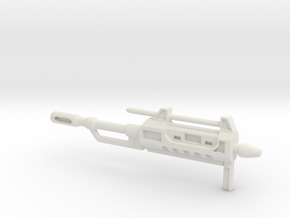 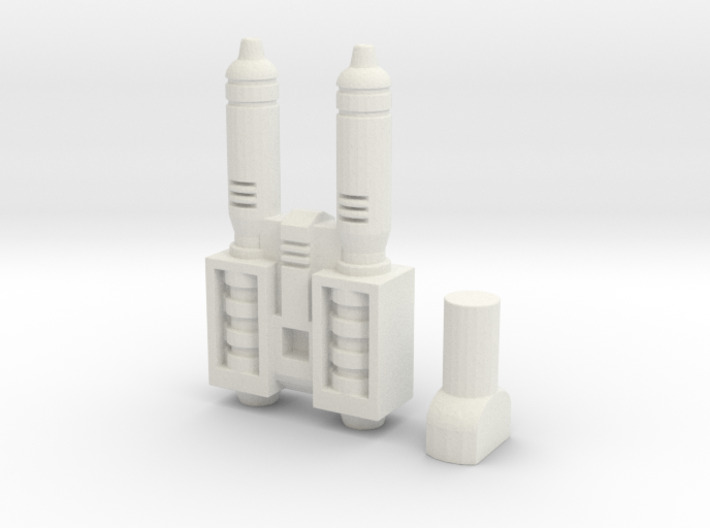 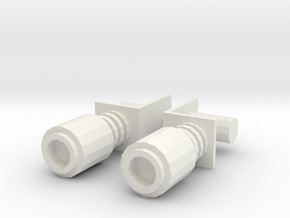 Due to this adapter this accessory may also be used by other figures that feature 5mm peg holes. 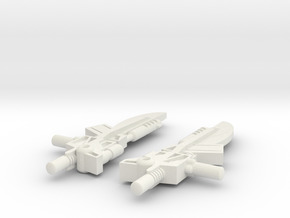 NOTE: The 5mm ports on my personal set of Battleslash & Roadtrap are unfortunately EXTREMELY TIGHT even after having done some trimming to both their ports and the model prints, and this is why in the second picture Battletrap's gun & adapter isn't deeper in his hand, as I do not wish to risk having anything (actual figures or the prints) breaking on me.